[tweetmeme]The folks at Filter Forge contacted me about reviewing their advanced Photoshop plugin software. I’m always interested in checking out new things, so they provided me with a review license of the software and I started exploring it. I must admit that it’s an impressive piece of software. Read on for my review and be sure to check the details at the bottom about the contest and prize giveaway. This review contains affiliate links. Filter Forge is a Photoshop plugin with a huge variety of filter and texture options for photographers and designers. 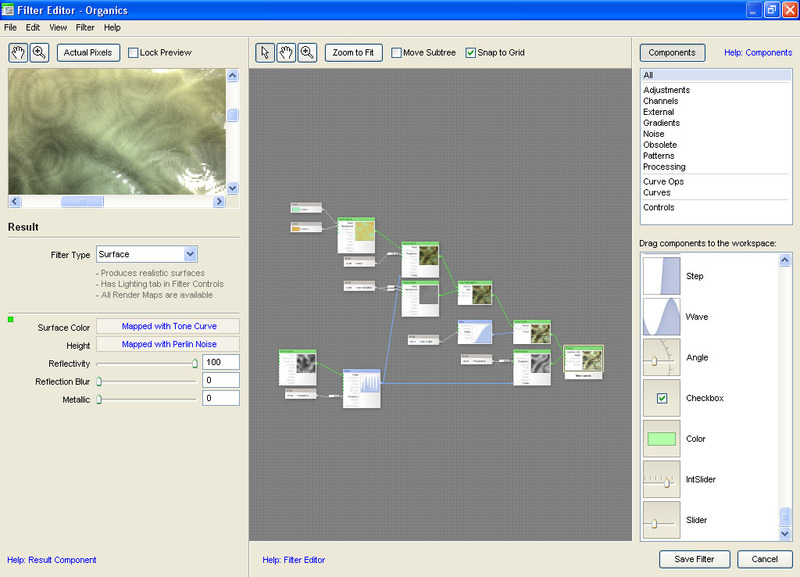 The plugin contains over 7500 textures and filters, most of which are user generated. And that’s another key feature of the software — you can generate your own filters and make them available to other users. 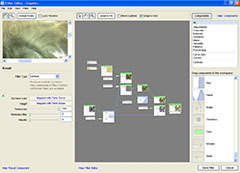 The real strong point of the Filter Forge software is the extensive library of user generated filters and textures. There is a seemingly endless supply of options out there, and the library is constantly growing. 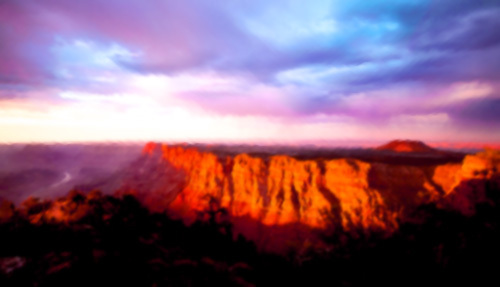 The folks at filter forge also offer an incentive to create and promote new filters, handing out reward points for the more popular filters created. Those reward points can earn you discounts and free software. 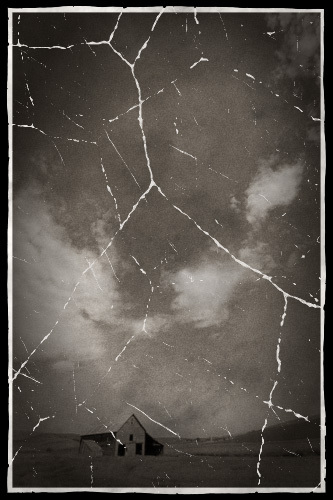 There are two sides of Filter Forge — textures and effects. If you’re into applied textures, this software will keep you occupied for quite a while. 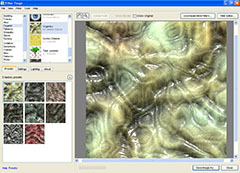 At the time of writing this review, there are nearly 4000 textures available. 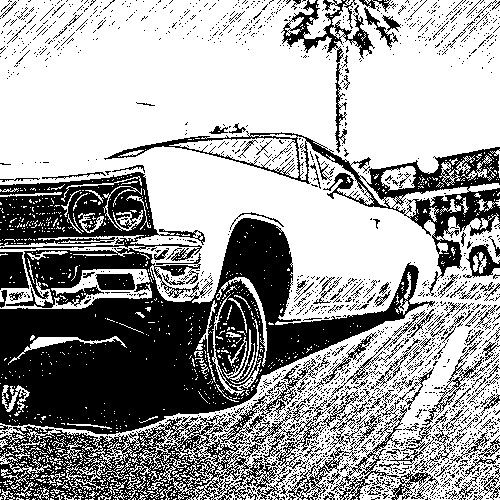 Filters, or creative effects, are also in abundance with over 3600 options. You can search and browse through the filters at the Filter Forge website. Applying filters is relatively simple. You start up Photoshop, pull in your image, and start Filter Forge from the Filters menu. Once inside Filter Forge, you can select the textures or effects you want to apply, check out a few presets, or modify the settings for that particular filter. After you apply the filter or texture, you’re back in Photoshop. That’s pretty much it. Creating filters is a little more complicated, but the interface is still fairly simple. You can start from scratch or modify an existing filter by using the components available in the filter editor. These components include things you would find in Photoshop: brightness, gamma, hue, saturation, threshold, invert, levels, curves, gradients, blurs, blends, and a whole bunch of other tools you won’t find in Photoshop. The process is very similar to creating a Photoshop action, but more visual and self explanatory. 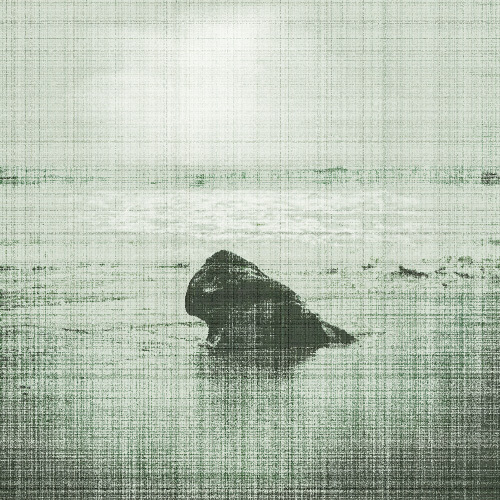 Enough talk, here are a few of my own photos with various applied filters. Click on the image to see the originals at Flickr. This is certainly a handy piece of software for the folks that apply textures and filters on a regular basis. The sheer quantity of options is staggering. If you’re a “naturalist” with your photography, maybe this isn’t for you. But other photographers, and even graphic designers, should check it out if it sounds remotely interesting. Filter Forge can be downloaded as a 30 day free trial with no other limitations (and check out the free plugin packs on the same page that don’t require the Filter Forge software). If you want to buy the software and continue to have access to the full library, you have three price options: basic, standard, and professional editions. The basic edition only allows you to use the filters, the standard edition allow you to create your own, and the professional edition has a bunch of other bells and whistles. Check the website for prices because they may change in the future. WHO WANTS A FREE COPY? STEP 1. Download a free copy of Filter Forge and install it. STEP 2. Choose any photo of your own and apply your favorite filter. STEP 3. Email your photo to blog@epicedits.com. Size it to 1000px on the long edge, make sure to include your name, and tell me which filter(s) you used. One entry per person and the photo used must be your own. By entering the contest you only give Epic Edits the right to display your image as a contest entry no larger than 500px. You retain all rights to your photo. After the deadline, I’ll size the images to 500px and post them here on the blog along with your name and the name of the filter used. I’ll choose the three winners myself (or I’ll have a couple of guest judges help me out). This entry was posted in Features, Photoshop Tips, Projects, Reviews and tagged contest, filter forge, filterforge, free, giveaway, photoshop, photoshop plugin, plugin, review, software, software review on October 6, 2010 by Brian Auer. Street Photography By Robert M Johnson. This entry was posted in Roundup and tagged art, camera, Composition, concert, darkroom, Film, hdr, inspiration, interview, Lighting, link roundup, music, News, online, photo, photographer, photography, photoshop, portfolio, Roundup, software, street, tips, tools, video on June 27, 2010 by Brian Auer. This entry was posted in Roundup and tagged contest, digital, diy, Film, free, haiti, history, howto, inspiration, kodak, link roundup, News, online, pattern, photo, photography, photojournalism, photoshop, project, Roundup, silhouette, software, tools, video, wireless on May 28, 2010 by Brian Auer. 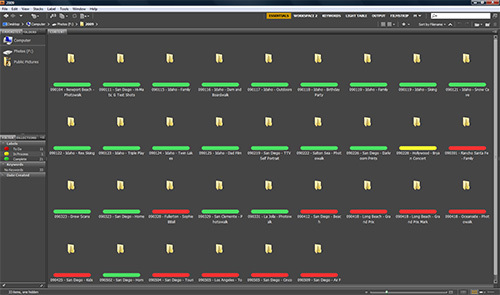 I included this topic in the Guide to Adobe Bridge: Organizing a while back (has it really been over a year? ), but I wanted to mention it again. This quick little tip is aimed directly at the users of Adobe Bridge and/or Adobe Lightroom, though it may apply to other photo organization software as well. Sometimes we get busy with things and the photo archive keeps filling up. If you don’t have time to process all your photos immediately, you should at least label the photos and/or their containing folders rather than try to remember which photos have been processed. Simply adding a color-coded label to my folders and photos has saved me a ton of time by eliminating the need to sift through thousands of photos each time I want to process a few. As soon as I create a new folder in the archive, it gets a red label (that’s my “To Do” color). 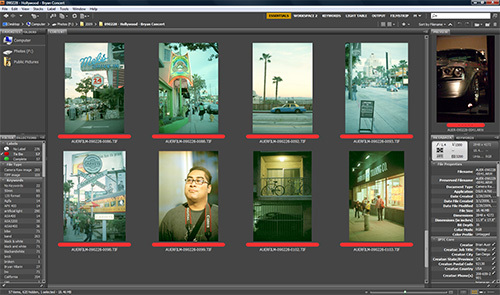 As I start to work on photos in that folder, I’ll change it to yellow (“In Process”). And when I’m done, I’ll change it to green (“Complete”). These labels at the folder level keep me on track and tell me which sets of photos are being worked on or still need work. As you can see in the image above, there’s no guessing at what needs to be done next. I do the same type of labeling system with my photos — red, yellow, green. One of the first things I do after importing is apply red labels. These are the photos that I’ll consider for processing at some later date, usually 1/4 to 1/3 of the full set. Now, using your label filters, you can weed out the junk and focus on the good stuff. After a photo has been processed and exported, I’ll apply a green label so I don’t have to keep looking at it while processing the unfinished photos. This method also gives you a sense of accomplishment as you watch the red counter go down and the green counter go up over in the filter panel. What do you use to keep track of your unfinished and finished photos as they stack up in the archive? Labels, tags, stars, folders, something else? Everybody seems to have a different way of handling these things, so I’m curious what’s working and not working for others. 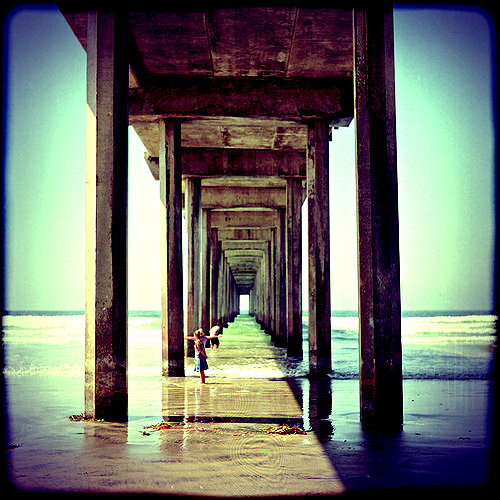 This entry was posted in Productivity, Quick-Tip and tagged adobe, improve, organize, photography, Productivity, software on July 7, 2009 by Brian Auer. Self portraits are tough — I’ve tried my fair share of them! Here are some tips to improve your skills in this area. There are a number of open source (and completely free) programs out there that do much of what Photoshop can. In this collection, you will find 10 excellent examples of open source and free alternatives to Adobe Photoshop. Here are a few good tips for creating black & white photos from your digital captures. Getting good photos of urban decay is not necessarily hard; it is more a matter of patience and understanding of the subject. So what is it that can help you become a better urban landscape photographer? Here are 10 tips for great urban photos. In this article, Jim shows us the evolution of his watermark and reveals the reasoning behind each one. Very interesting for those considering the addition of a watermark to their photos. 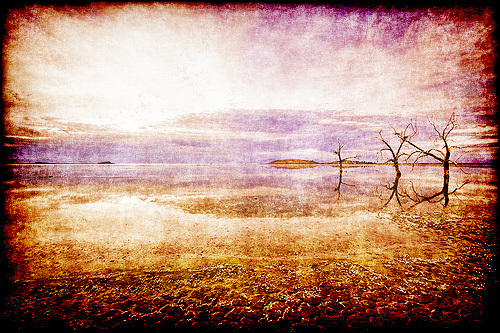 By Trey Ratcliff (aka Stuck in Customs), one of the most famous and renowned HDR photographers on Flickr. In his article Trey describes some professional insights and useful photography tips that he collected over the years of his career. I’ve heard of these catacombs under Paris, but I’ve never seen them like this. 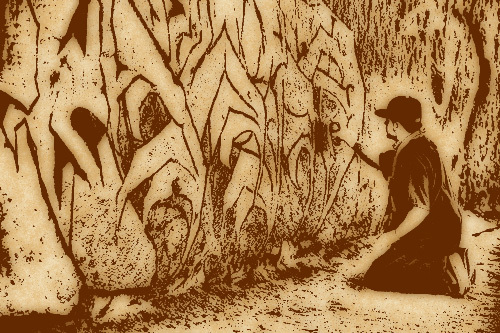 Zoriah takes to the caverns with some local cataphiles and shows us a different side of these historic entities. Wow! DIYPhotography.net is 3 years old! To celebrate, Udi has lined up some great prizes for the readers — and all you have to do is submit photos to his Flickr pool to be eligible for the contest. Here are some really great lessons for photographers — definitely not anything you’ll find in a textbook. Camera phones can be pretty fun to use — especially high-end phones like the iPhone. Here is a huge collection of great photos taken with the iPhone. Interestingly, I found this article the day after I shot my first concert. I can definitely say that the tips are helpful for those of us with less experience in the subject. Lens filters can be difficult to comprehend in the digital age — so we chat about the different options and uses for the various filters available. My pal Bryan Villarin is quickly becoming the next Thomas Hawk when it comes to photography related run-ins with the authorities. His latest story involves being pulled over while shooting photos from a freakin’ boat! This entry was posted in Roundup and tagged concert, contest, filter, iphone, links, News, photography, photojournalism, portrait, Roundup, software, urban, watermark on March 3, 2009 by Brian Auer. I’ve been putting this one off for way too long. If you remember back a few months, I announced the 8th Epic Edits project: “Action and Preset Extravaganza“. 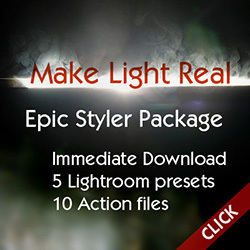 The deadline was over a month ago, and we had 6 people contribute 15 different Photoshop Actions and Lightroom Presets. Neil Cowley of Make Light Real, sponsored the project and gave out three grand prizes to the best entries. He’s also hosting the package of presets and actions as a free download, so don’t forget to jump over to his site and grab them! Tasha Schalk with her Rock Concert Photoshop Actions. Martin Kimeldorf with his Photoshop Action for exposure blending. Phill Price with his monochrome architecture pink Lightroom Preset. The other entries included a color pop Photoshop Action from Tom Weeks, a Flickr resizer Photoshop Action from me, and a 300 movie style Lightroom Preset from Mike Lao. Valued at $290, this prize includes a Nostromo n52 left-hand keypad, “ONE” Lightroom/ACR preset, “ONE” Photoshop Action, and tutorials. This is an awesome package! This winner will also receive a $39 credit to use toward any additional items from Neil. Valued at $250, this prize includes the “ONE ACTION” workflow scripts plus a 4 hour training course covering the workflow scripts and working in LAB color space. This winner will also receive a $39 credit to use toward any additional items from Neil. Valued at $79 and $49, respectively, this prize includes the “ONE ACTION” scripts and presets for Photoshop and Lightroom, plus extra training materials along with additional Photoshop actions and 30 textures. First of all, I want to thank all the participants that took the time to post their actions and presets for the greater good of the community. It’s great to see people willing to share their knowledge and their tools with fellow photographers. I’d also like to thank Neil for sponsoring the project and hosting the final download package. He’s had a very active role in this project, and I look forward to working with him again in the future. Don’t forget to download the actions and presets from the project entries. And if you’re into free stuff, check out Neil’s other free downloads. This entry was posted in Features, Projects and tagged action, contest, creativity, free, lightroom, photography, photoshop, preset, Productivity, project, software on February 16, 2009 by Brian Auer.